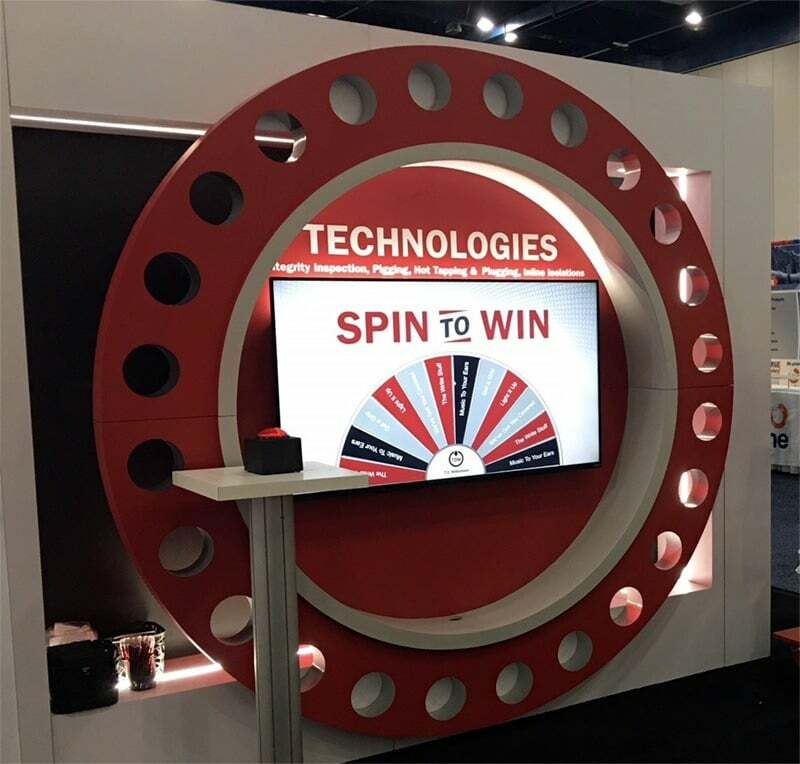 Use the virtual prize wheel with a big red button to drive booth traffic into your booth. Integrate the virtual prize wheel with lead capture forms to capture leads and survey data. How does the Virtual Prize Wheel Work? 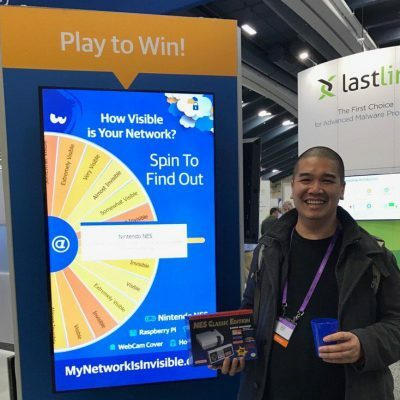 Our super-fun prize wheel helps you draw visitors to your booth while providing lead capture and follow-up tools. Easily capture leads and survey responses with our custom lead capture and survey forms. Data is matched to prizes for personalized followup post event! Use the survey to ask about marketing followups or gather powerful voice of the customer data. Data will be tied to the lead who entered the information. Booth visitors will agree to the rules…you know the 19 page document that legal created? Then, they can spin the wheel. Woohoo! The Final Prize screen shows the player what prize he/she won. Prizes can have sponsors, pictures and logos. The virtual prize wheel gives you an edge when you need to stand out in a sea of exhibitors. Everyone loves a prize wheel! If the trip to Jamaica is still up for grabs, people will line up for a chance to press the button and see what they win. Your booth staffers get a ton more visitors to engage and qualify, helping you get more leads and a better trade show ROI. Let the attendees do the data entry for you by filling out custom data capture forms. The game is self-service and will even capture leads when your booth staff are busy and tired. Customize our data capture forms to get the data that will most help your business. 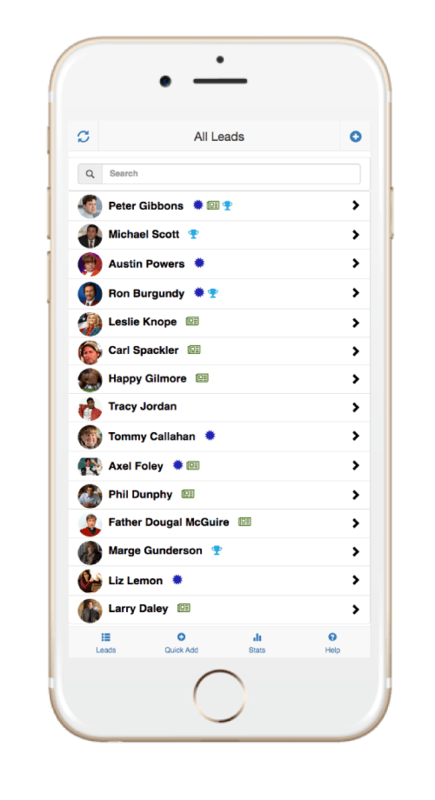 Visitors can sign up for the newsletter, download a document or sign up for a meeting with your sales reps.
And with the new Lead Manager App (a free Companion App), your booth staffers can record detailed lead info – and even start leads that did not play a game. Hey, it’s no secret: an old-fashioned prize wheel costs less than our Virtual Prize Wheel interactive game. So why bother going digital? 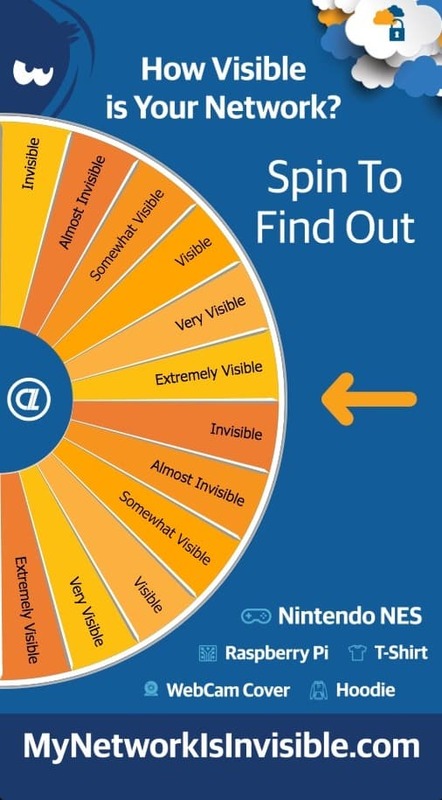 Turns out there are many reasons our Virtual Prize Wheel is the real deal. Not only can you capture leads and drive booth traffic, but you can manage inventory and much more. 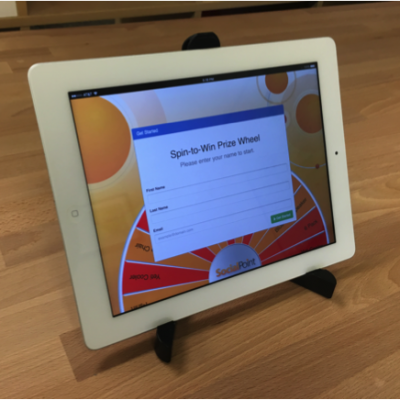 Let our prize wheel capture leads and surveys while you have meaningful conversations with existing customers. Setup your lead capture forms, prize packages and virtual prize wheel configuration and then reuse it for multiple events. Use tablets, touch screens or a big red button to activate your prize wheel. You can even use multiple stations. Our Interactive Producers help you plan your onsite experiences. Then, they will get everything setup and looking sharp for your events. Track performance across multiple days, locations and street teams all from a single performance dashboard. Quickly download your leads, surveys and who won what prize into Excel for quick follow-up. Then, send off personalized email followups before you get home. Keep track of your prize inventory so that you don’t give away prizes that you don’t have in stock. Your dedicated interactive producer is just one phone call away. They will be there to help you trouble shoot any setup issues and help you where you need it. Let us show you how you can use the Virtual Prize Wheel to achieve your exhibiting goals.